VAMPIRES. 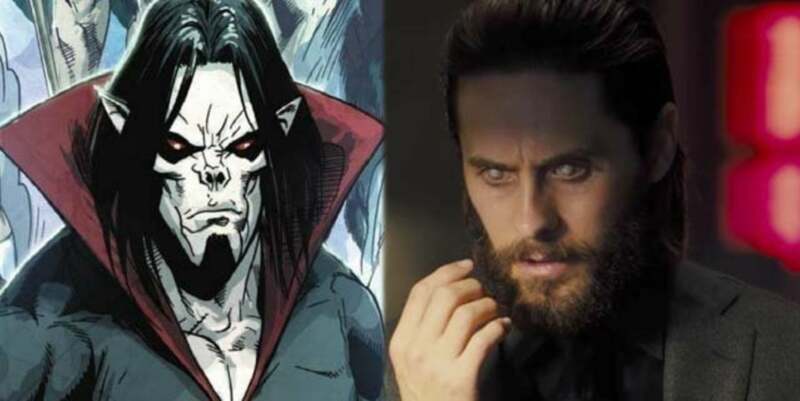 It has been announced that Oscar award winning actor Jared Leto has signed on to play Michael Morbius in a solo film with Sony. This will be the second comic book character Leto has portrayed since infamously portraying the Joker in 2016’s Suicide Squad. The film will be directed by Daniel Espinosa, the Scandinavian filmmaker responsible for 2012’s spy action thriller Safe House and last years sci-fi horror Life, with a script penned by Burk Sharpless and Matt Sazama who created the Netflix remake of Lost in Space together. The movie is intended to be part of a separate Marvel universe with Sony (the Sonyverse shall we call it?) shared with the upcoming Venom movie and the unconfirmed Silver and Black movie starring Marvel characters Black Cat and the Silver Sable. Previously I wrote an article stating that Michael Morbius would be an excellent villain from Spider-Man’s rogues gallery to star in a possible MCU sequel and that Homecoming director Jon Watts was interested in working on a project involving the famous Marvel vampire. With this new announcement, this movie could be a great combination of comics and horror if done correctly. Created in the 1960s by writer Roy Thomas and artist Gil Kane, scientist Michael Morbius attempted to use science to cure him of a rare blood disease that was slowly killing him. His experiments involving vampire bat DNA took a horrible turn when he was transformed into a creature similar to the traditional vampire. Although the procedure granted him superhuman powers and immunity from most vulnerabilities known to vampires, he was still cursed with a weakness to sunlight and a strong blood lust. He would frequently clash with Spider-Man upon discovering that Spider-Man’s irradiated blood could cause his vampirism to go into remission. Guilty over the constant need to feed on people, Morbius’ repeated appearance and success earned him a solo series in the 1990s where he turned his curse into a crusade as he became a vigilante who fed on criminals, predators, and the guilty alike. Although his bite rarely turned his victims into vampires themselves, Morbius would himself clashing with all manner of mystical opponents and allies including Blade, Werewolf by Night, Man-Thing, Ghost Rider and was a member of the Midnight Sons who were a team of mystical creatures acting as Earth’s last defense against the occult. He also had a reoccurring role in the Spider-Man animated series where his origins were adjusted to become an ambitious ESU student and rival with Peter for Felicia Hardy’s affection. The more memorable aspect of his character was how the series altered his vampire condition due to the censor restrictions at the time. Morbius was unable to bite or even reference blood so Fox had Marvel give Morbius a pair of blood draining suckers on his palms and replaced blood with plasma which in Morbius’ accent sounded more funny instead of terrifying. Morbius’ pseudo-vampire status plus his vigilante status could make for an interesting movie if a proper balance of comics and horror is maintained. I also believe the vampire genre could use a little reviving (pun intended) after being over exhausted by tiresome stories and bastardized reimaging’s over the last decade or so. Will Morbius clash with Blade? Will he eventually confront Spider-Man? Could Morbius and Black Cat be a thing? I don’t know but the possibilities if they decide to move forward are quite exciting. Until then, sleep well creatures of the night!